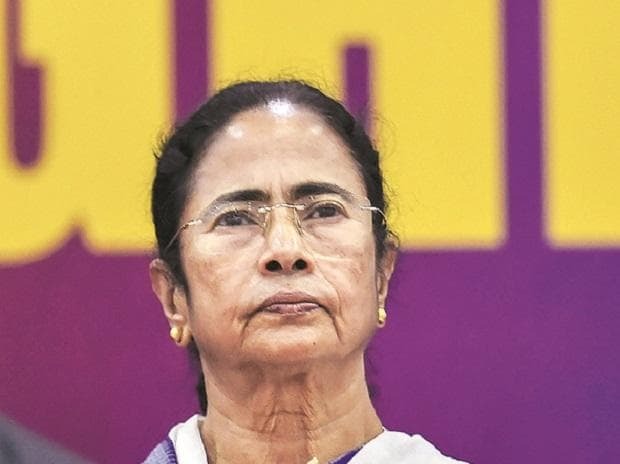 Opposition parties Sunday extended support to West Bengal Chief Minister Mamata Banerjee, who began a sit-in protest over the CBI's attempt to question the Kolkata Police chief in connection with chit fund scams, calling the agency a "coalition partner of the BJP". The Congress said the CBI action in Kolkata is clearly "mala fide" and an "assault" on the federal polity, which has come within 48 hours of Prime Minister Narendra Modi and BJP chief Amit Shah's public "threat" to him. Party spokesperson Abhishek Singhvi said the antipathy of Modi and Shah towards Banerjee is "visceral". He alleged that the BJP and the prime minister are desperate to create a controversy in the state for "cheap publicity and divisiveness" to get some space in 2019 elections. He claimed the Modi government has ensured a non-functional and non-productive Parliament session going by such assaults on the federal polity on a Sunday evening. Singhvi called for opposition unity after this action, which he described as "political vendetta" and an "assault on federalism". "Kolkata CBI action clearly mala fide. Done within 48 hours of Modi, Shah rally threat to commissioner of police; done on Sunday on mere section 160 notice which is bailable and non-cognisable; operating high court stay protecting officers under CP on identical case, identical issues; yet harass CP without clarifying from HC," he said on Twitter. Delhi Chief Minister Arvind Kejriwal said, "Spoke to Mamta didi and expressed solidarity. Modi-Shah duo's action is completely bizarre and anti-democracy." In a dramatic showdown with the Modi government, a furious Banerjee, wrapped in a brown woollen shawl, began a sit-in right in front of the Metro Cinema to protest "insults" she faced at the hands of the prime minister and BJP chief Amit Shah, hours after a CBI team that had gone to question Kumar was detained in a rare face-off between the police establishments of the Centre and the state. Banerjee, one of the prime movers behind the effort to cobble together an anti-BJP alliance ahead of the Lok Sabha polls, claimed the CBI knocked on the doors of Kolkata Police Commissioner Rajeev Kumar without a search warrant. She asked all opposition parties to unite to bring down the Modi government and, in a rare exhortation by a political leader, called upon personnel of security forces of the Centre and states, besides the Army, to "condemn" the attitude of the Modi government. Rashtriya Janata Dal national president Lalu Prasad also came in support of the TMC supremo. He said the Constitution and constitutional institutions in the country were facing an "unprecedented crisis" and alleged that there were "attempts to plunge the country into a civil war". "The common public of the country is against the BJP and its coalition partner - a partisan CBI. We stand with @MamataBanerjeeOfficial. There is a brazen display of dictatorship. "It is the greatest danger to democracy. The Constitution and constitutional institutions are facing an unprecedented crisis. Attempts are being made to plunge the country into a civil war for electoral gains," Prasad tweeted in Hindi. Prasad's official twitter handle is operated by people close to him. He is serving sentences in connection with fodder scam cases and admitted at a hospital in Ranchi for treatment of multiple ailments. According to party sources, the RJD supremo's younger son and political heir Tejashwi Yadav has spoken to Banerjee over phone and he might visit Kolkata on Monday in a show of solidarity. "State governments will be compelled to take such steps in view of political decisions taken by the CBI in the last few months under pressure from the BJP. The CBI may have to face the wrath of the public if it continues to act as a coalition partner of the BJP. Nobody is mightier than the public in a democracy," Tejashwi Yadav tweeted. Extending support to the West Bengal CM, NCP president Sharad Pawar tweeted, "It's shocking that In WB, Central Govt goes to this level! It's an assault on federalism and condemnable misuse of CBI for political vendettas! #MamataVsCBI." National Conference leader and former Jammu and Kashmir Chief Minister Omar Abdullah also threw his weight behind Banerjee, saying the use of the agency as a political tool has crossed all limits. "Just spoke to @MamataOfficial didi to convey the support of @JKNC_ as she sits in dharna. The use of the CBI as a political tool has crossed all limits as has the Modi government's misuse of institutions. A former CM having such little regard for India's federalism is shocking," Omar tweeted. As the CBI team landed at the city police chief's residence, a team of Kolkata Police officers rushed to the spot to speak to the CBI officials and tried to enquire if they had the documents required for questioning Kumar.